JumpLists were introduced with Windows 7 and if it they are implemented right are pretty handy, because it can provide common functionality. In pre .NET 4.0 times there was a Windows7API Code Pack available to access the JumpLists APIs of Windows and many older blogposts reference it, but since .NET 4.0 is out the JumpList APIs are part of the PresentationFramework.dll. So, you don’t need any other library - at least not for the stuff that I want to show you here. A warning for everyone that still have to support Windows Vista: .NET 4.0 is supported on Windows Vista, but the JumpLists were introduced with Windows 7. If you are trying to create a JumpList or touch the JumpList APIs your app will crash with a NotSupportedException. The “Apply()” call is needed, otherwise the new JumpItem will not be added. As you can see, you can create new JumpList entries, add (and I think you could also remove items) from the default recent category. 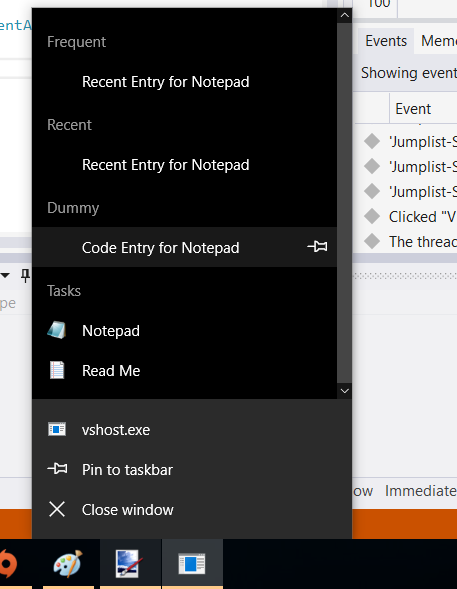 Besides JumpTasks there is JumpPath, which just contains a link. 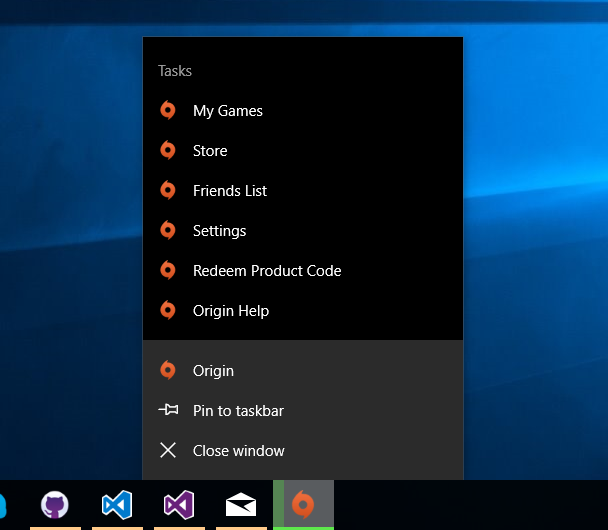 In the XAML Part I also hooked up some events, so your application can get notified when a user pins something or removes something which you might want to handle. Oh… and of course: Windows 10 still supports JumpLists and there are rumors that even UWP apps will somehow support JumpLists. A good read was this blogpost (and it also contains information about other Windows 7 “Taskbar”-enhancements which are still valid for Windows 10). The code is also available on GitHub.